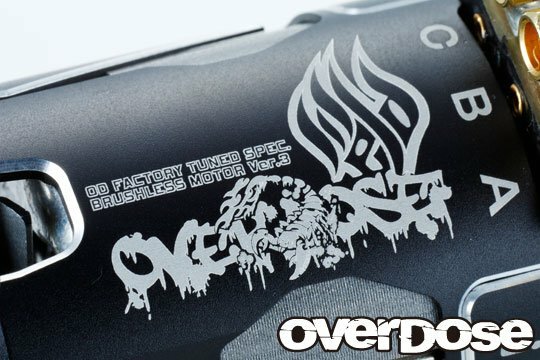 Introducing OD Factory Tuned Spec. 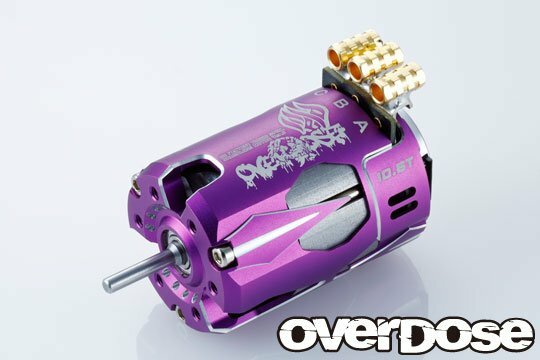 Brushless motor Ver.3 6.5T ＆ 10.5T. 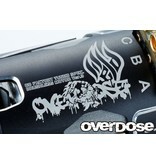 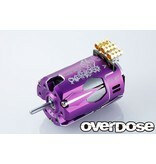 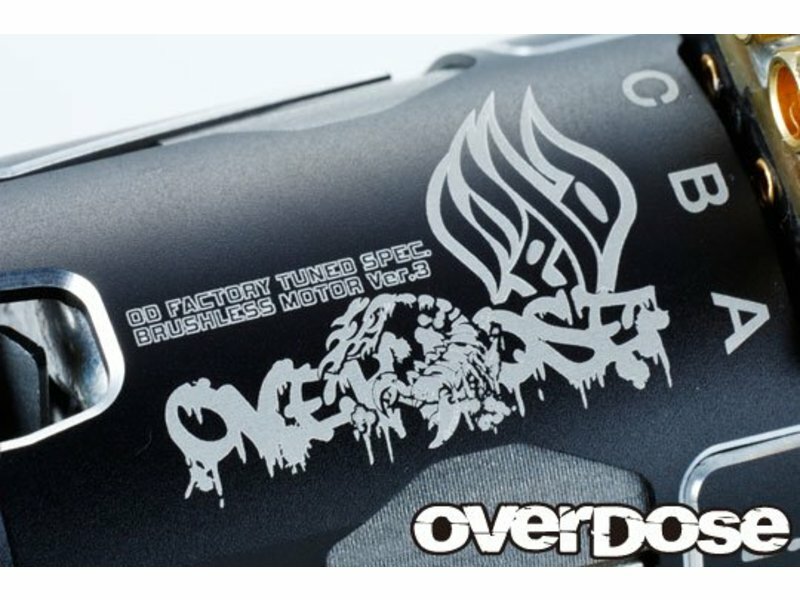 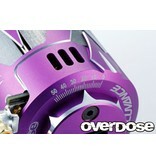 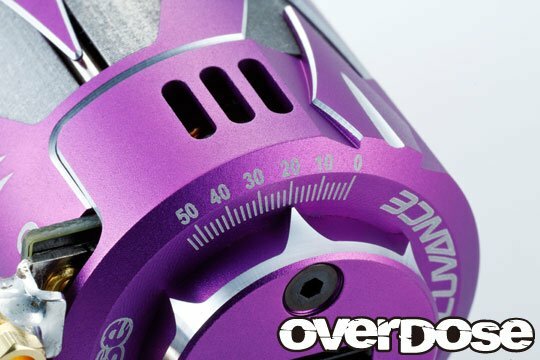 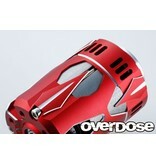 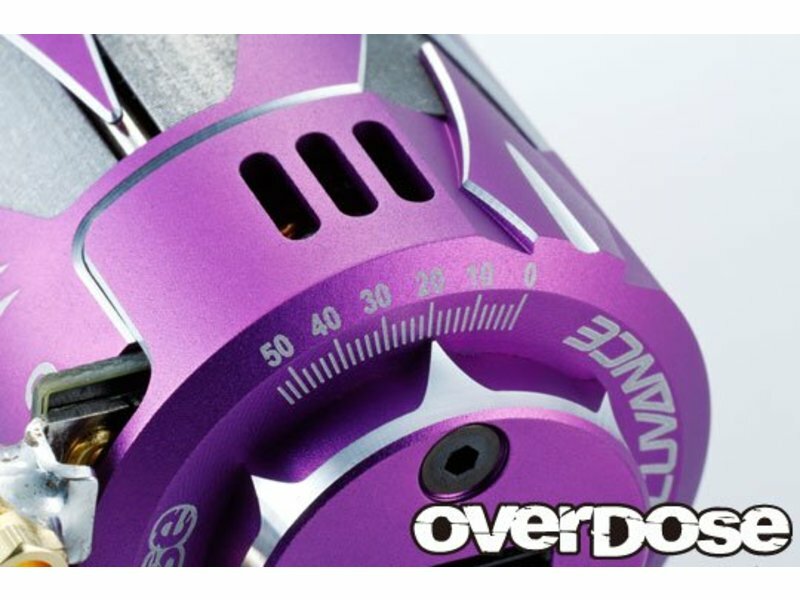 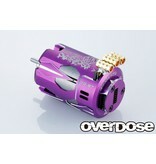 The 3rd edition of the special model created by the collaboration of OVERDOSE and ACUVANCE. 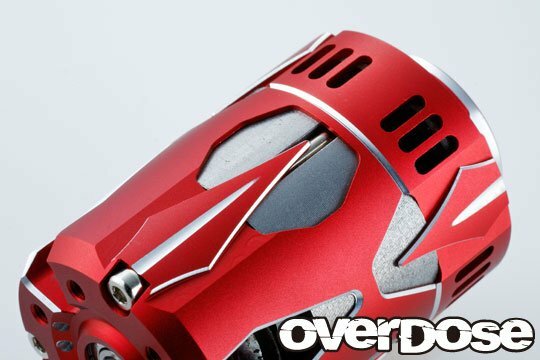 Kept the LUXON AGILE as the option 10.5T/LV42 and 6.5T/LV38 as standard feature, the torque and feeling designed each motors character. 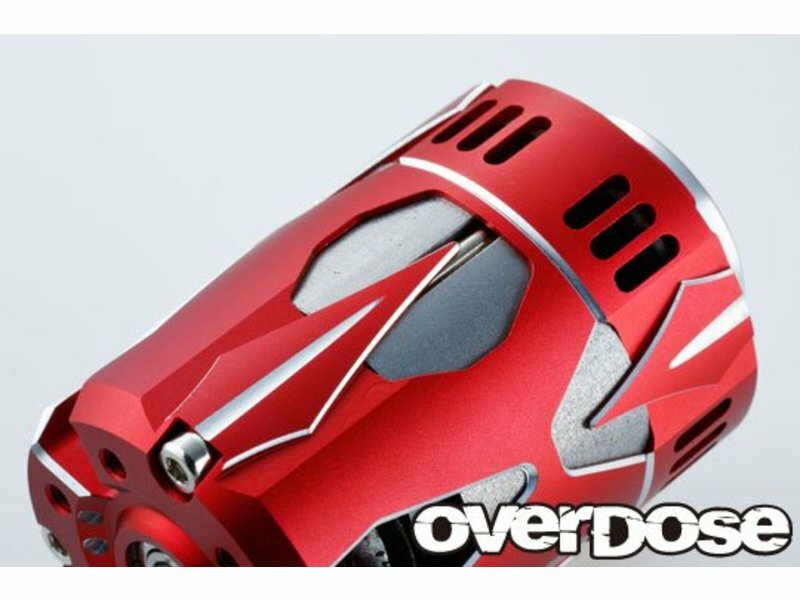 Large cooling holes with an aggressive and delicate motor case design which makes unique motor sounds, it will have excuse presence at the pits and tracks. 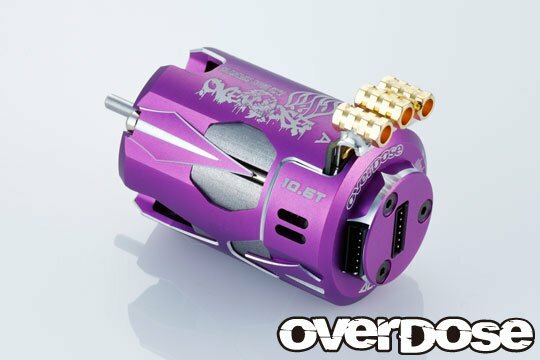 Come with soldered φ3.5 connectors and purple, red and black colors. 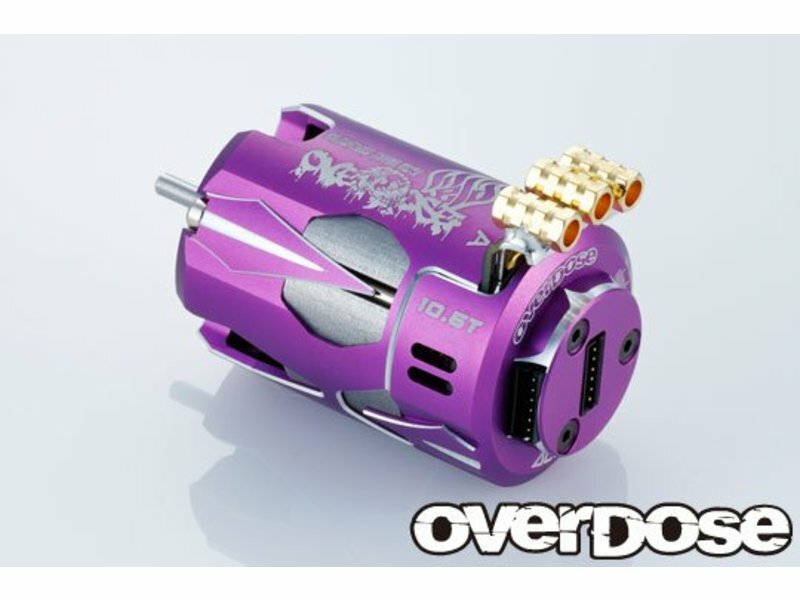 Each comes with one- 14G wire (300mm), one- sensor wire (150mm) and three- Male connectors.